When I work with church planters it seems they want to talk about the vision that God’s given them to plant a church. While it is critical to understand where you are headed and how you are going to get there, clarity of your vision is not the place to start when planting. 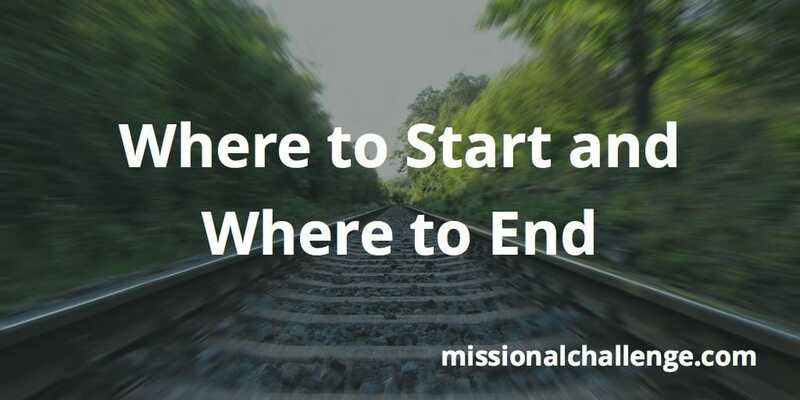 Start with God’s mission. God is a missionary God. The Father sent His Son to fulfill a specific mission on earth. The Father and Son sent the Spirit. And the Father, Son and Spirit sent the Church. The Church is not the end, but rather it is the means to the end! Establishing churches (church planting) is not the end. The glory and greatness of God displayed among all peoples of the earth worshipping around the throne – that’s what the end looks like. Planting churches needs to start with and end with this picture in mind. Focus on God’s mission! Consider what would it look like for the mission of God to be fulfilled in your neighborhood, community or city. We have to deal with the same issue in our client churches. We tell them, in essence, "let's stop focusing on your (dysfunctional) programs and processes for a moment. Instead, let us look to God's mission and your role in it.